Dông (VND). Notes are in denominations of VND 500,000, 200,000, 100,000, 50,000, 20,000, 10,000, 5000, 2000, 1000, 500, 200 and 100. Coins are in denominations of VND5000, 2000, 1000, 500 and 200. The US Dollar is the most favoured foreign currency. Australian, British, Japanese, Singaporean and Thai currency, as well as the Euro, can easily be changed in the larger cities; great difficulty may be encountered in trying to exchange any other currencies. Hotels generally change major foreign currencies at the prevailing bank rate. Do not change any money on the streets, there is no advantage for doing so. Do change them at a jeweller (one that sells gold); shop around and you’ll get a better rate than at the state-controlled bank. An increasing number of outlets accept MasterCard and Visa. Amex representations are growing rapidly. Most outlets that accept credit cards will charge you an extra 3% per transaction. 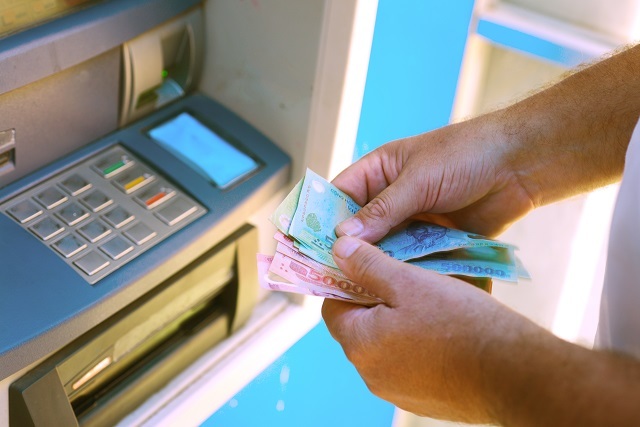 Outside main centres, it is wise to carry cash even though ATMs are becoming more common. The withdrawal limit is 2 Million VND (US$100) per transaction and the usual cost for each is around VND20,000 (1 Euro). Tipping is not customary, but is becoming more usual and expected in tourist areas, especially in the south. Keep your tip within the VND20,000-50,000 limit. Upscale restaurants and hotels may add a service charge to the bill. Taxi drivers should not expect to be tipped but this is changing fast also. Don’t feel awkward or rude about bargaining, everyone bargains in Vietnam and you’ll look like a green tourist if you don’t. These are widely accepted in hotels and banks. Travellers are advised to take traveller’s checks in US Dollars or Euros. Import and export of foreign currency over US$7000 is subject to declaration. Proof of all expenses should be kept. Monday to Friday from 0730/0800 to 1130 and 1300 to 1600. Do take your passport with you or a good copy as this is necessary for all dealings. Occasional typhoons can happen from May to January with extensive flooding, especially in the centre and northern area. 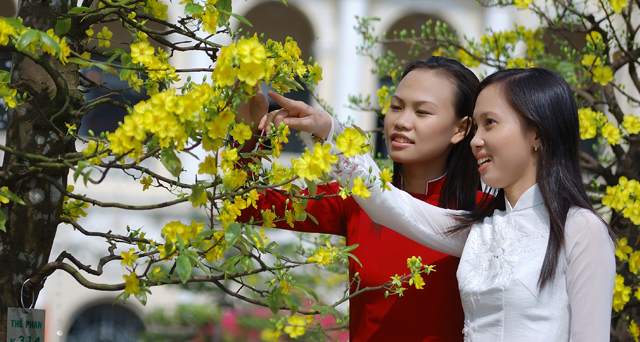 Vietnam Airlines operates daily flights between Hanoi, Ho Chi Minh City, Hue, Da Nang and Nha Trang. Regular services are also provided between Hanoi and Ho Chi Minh City to Buon Ma Thuot, Dalat, Na San, Phu Quoc, Pleiku, Qui Nhon and Vinh. Do reconfirm any flight, as this is not a superfluous precaution in Vietnam. Don’t arrive at airport just in time for a domestic flight: your seat may well have been resold to someone else by then. You can try using local bus services in Saigon and in Hanoi but remember that it is often a quite complicated matter for most foreigners. When travelling by taxi, it is advisable to note down the driver’s registration number, displayed on rear side of taxi for security reasons. Furthermore, do check that the driver starts the meter, unless you agree to a price before you move off and then stick to it. If you use taxis or motorbikes, it’s best to always make sure you have some small notes on you. 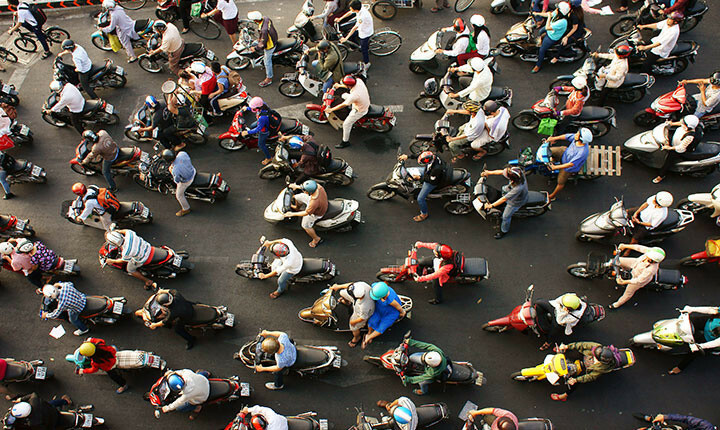 Motorbikes are a very popular and practical way of getting around. You’ll find them on every street corner in the country or else they’ll find you. It is the fastest way to get around in the cities, but do fix a price before you hop on. 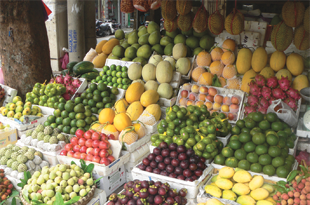 Normally, for travel in the city, the maximum price is VND20,000 per kilometre. Nobody walks anywhere in Vietnam if they don’t have to. Don’t expect to be able to walk down street pavements in most towns and cities; these are generally employed for parking cars, motorbikes and bicycles. Visitors may use the rail transport system independently or as part of a rail tour. Long-distance trains are more expensive but are faster, more reliable and more comfortable. Although a few carriages now have air conditioning, most facilities are still short of international standards. 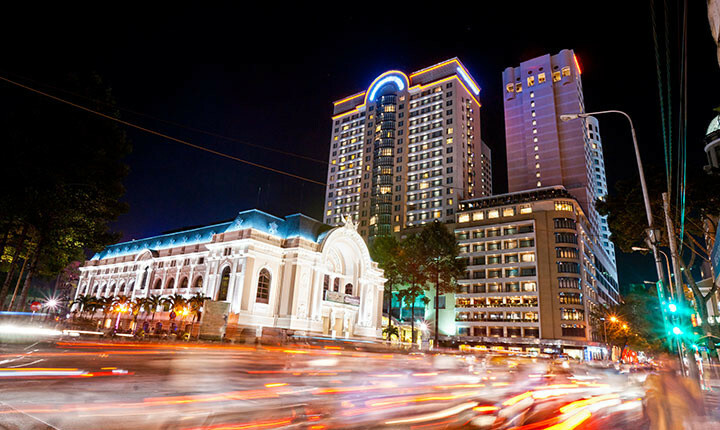 This is not the case for the newly opened five star Express Train from Saigon to Nha Trang and the Victoria Wagons from Hanoi to Sapa that are exclusively reserved for Victoria Hotels & Resorts clients. The main rail route connects Hanoi and Ho Chi Minh City and the journey can take between 30 and 40 hours. Most traffic drives on the right side of the road but you may often encounter surprises. Roads, especially in the north, are often in a bad state. Driving can be a hair-raising experience as the normal rules are rarely followed by the majority of drivers. There is a highway from Hanoi to Saigon. Bus services are often poor and overcrowded, although long-distance buses tend to be more modern and air-conditioned. It is possible to hire chauffeur-driven cars. Self-drive car hire is non-existent. Don’t spend hours waiting to cross the streets on foot; the constant tide of traffic won’t stop until late at night. So do as the Vietnamese do, take the plunge and inch slowly across. Don’t make any sudden or unpredictable movements: freeze if you have to, but never lunge. Vietnamese visas are now valid for all international border crossings by air at Noi Bai (Hanoi), Danang & Tan Son Nhat airport (HCM). The national airline is Vietnam Airlines (VN). 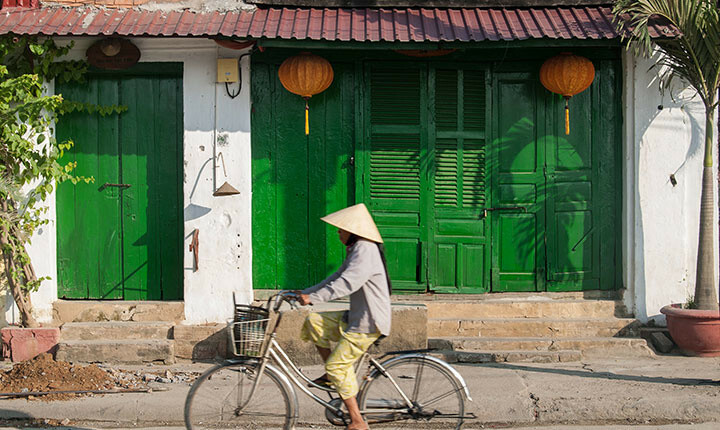 The most common routes to Vietnam are from Bangkok, Hong Kong, Kuala Lumpur, Manila, Paris, Singapore and Taipei. 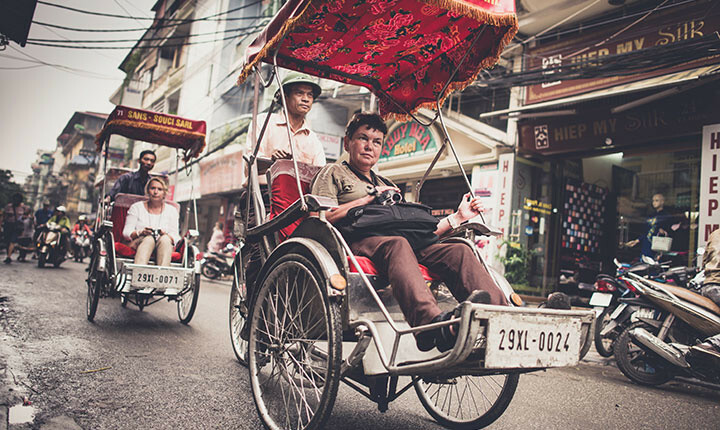 Most Asian carriers have flights to Vietnam, as do Air France, Qantas, Lufthansa and Aeroflot. Charters are now opening new routes to Vietnam, please check with you operator or travel agencies for further information. Noi Bai International Airport (HAN) at Noi Bai is 45km (28 miles) north of Hanoi. Tan Son Nhat International Airport (SGN) is 7km (4.5 miles) from Ho Chi Minh City. Danang International Airport (DAD) is located 2km (1.3 miles) from the city centre. Departure tax is included in your plane ticket cost. Most hotels now have IDD phones in rooms and it is possible to send faxes from hotels and post offices. Be aware that most hotels charge considerable amounts for these services; please check with the hotel prior to arrival. It may not always be possible to make international calls in remote areas. If you have worldwide coverage, you can bring your own mobile phone and use it to make domestic or international calls. Check with your mobile phone provider for the costs prior to using it abroad. The 1088 number is a rather unusual telephone service available in Vietnam. An army of operators, some of whom speak English, are trained to answer questions from the public, from meteorology to tourist information, historical and scientific queries. Major hotels have Business Centres with PCs connected to the Internet. Some of them have wireless broadband access in rooms or public areas. Cyber cafes are becoming popular and are easily found in major towns and cities. Prices are reasonable, usually below US$1 per hour. In many internet cafes, you can buy pre-paid phone cards to dial from a computer to a landline or mobile phone worldwide. 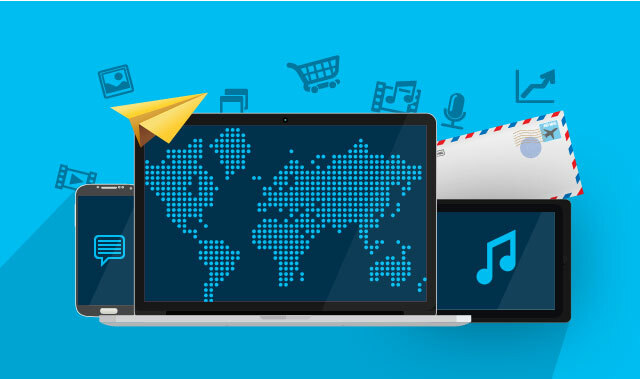 If Internet connections at hotels are vital for you during your visit to Vietnam, please advise your Focus Asia travel consultant. If you have your own laptop or smart phone, you will easily find a free wi-fi spot at one of the many coffee shops and restaurants in the cities. The postal system is quite good in Vietnam. Postcards are sold at all main tourist sites and stamps are available from post offices and some hotel reception desks. 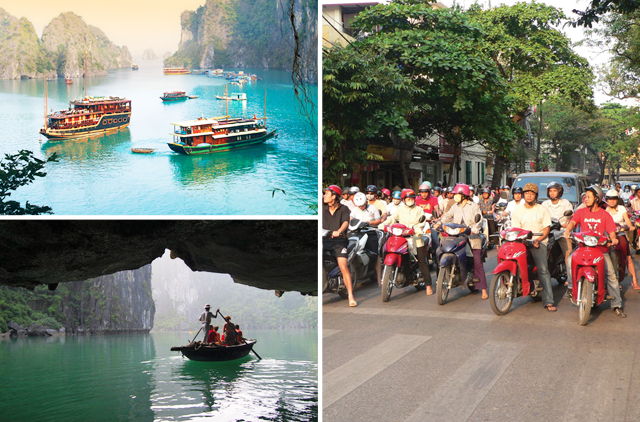 Sending a postcard to Europe costs VND9,000 and takes up to two weeks to reach the destination. Don’t seal a parcel before you take it to the post office. You will be required to show its contents before you can have it weighed and priced. Do note that flights into, out of, and inside the country will most probably be fully booked months in advance to the Têt period. 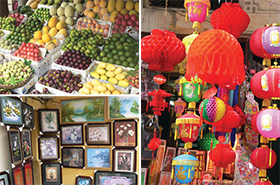 Don’t miss the markets, they are among the most atmospheric in Southeast Asia and still the hub of commercial activity everywhere in Vietnam. The idea of a fixed pricing system is still quite novel, which means that good-natured haggling is an important habit to develop. Anywhere outside of supermarkets, restaurants and anything controlled by the state, bargaining is probably possible and usually essential. Do be advised that there is no trading standards authority in Vietnam, so check the quality of what you’re buying very carefully, especially if there are safety concerns involved. Don’t expect to get your money back if you change your mind after making a purchase, or even if you realize that the goods you have been sold are not as advertised. Check everything yourself before handing over your money. Always ask around to get an idea of basic prices for common necessities. For more important purchases, try and get a local friend to go along with you, or better still, let them do the buying without you. Our own preference goes to the central cuisine, with its subtle sophisticated flavours. Northern dishes can be a little on the bland side, while the southern recipes are a bit heavy on sugary tastes. National specialties include rice or noodles that usually provide the basis of a meal. Breakfast is generally noodle soup (known as Pho). Baguettes are available throughout Vietnam. Nems are common and Banh Chung the glutinous rice, pork and onion snacks wrapped in leaves are to be eaten at any time. 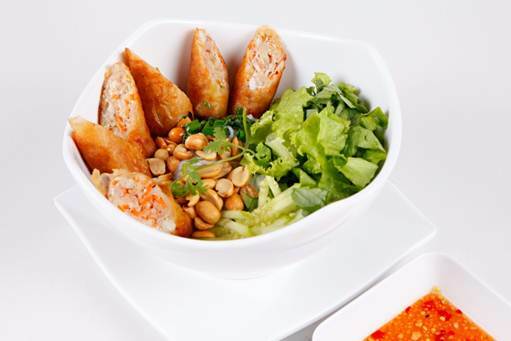 Nuoc Mam (fish sauce) or Mam Tom (shrimp sauce) is served with most dishes. 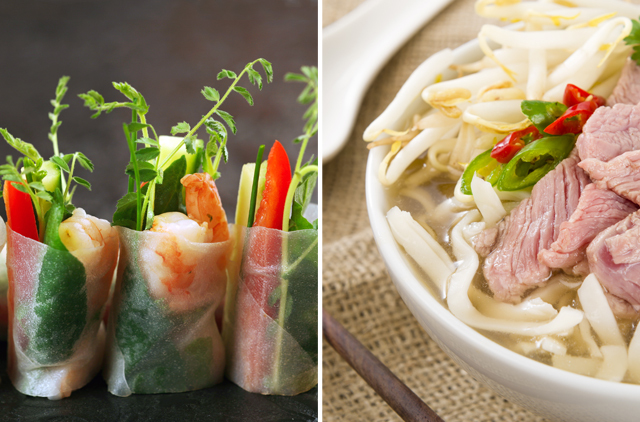 Vietnamese food is a mixture of Vietnamese, Chinese and French traditions. Unique culinary experience suchas; Dog meat, duck’s blood soup, semi incubated duck’s eggs, aromatic juice squeezed from cockroach-like insects, beating snake’s heart in rice wine, roasted chicken feet. National drinks are green tea and strong coffee. If it’s a unique culinary experience you’re looking for, don’t hesitate to try some of these: Dog meat, duck’s blood soup, semi incubated duck’s eggs, aromatic juice squeezed from cockroach-like insects, beating snake’s heart in rice wine, roasted chicken feet after a night out. It’s best to avoid endangered species such as bear meet, sea horse, turtles, shark fins and shark fin soup, tiger, pangolin, wild snake and wild dogs. National drinks are green tea and strong coffee, it is available everywhere. Bia Hoi, a local draught beer is available at street stalls in Hanoi. It is not only cheap, but free of additives. Rice wine is also a favourite. Tipping is not customary, but is becoming more usual and expected in tourist areas, especially in the south. Keep your tip within the VND20,000-50,000 limit. Upscale restaurants and hotels may add a service charge to the bill. Taxi drivers should not expect to be tipped but this is changing fast also.